As the description on the box suggests this is a very young, light daytime scent which is perfect for the summer. This fragrance is a dupe for the more pricey Dolce and Gabbana – Light Blue and Lacoste – Touch of Pink. It is a perfect addition to your handbag for when you want quick touch ups during the day. I am not crazy about the bottle shape, but it is nothing offense so for £6 I think this is definitely a bargain. I now move on to my favourite scent of the bunch. 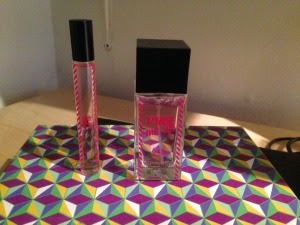 Polka is definitely a more mature, evening scent in comparison to Pink Me Up. The cute packaging nods towards that of Marc Jacobs – Dot, however the scent is an amazing dupe for Paco Rabanne – Lady Million, which could cost you over triple the price of the Primark version. Obviously, the staying power of the Primark dupe is not as long as Lady Million but the travel friendly size makes touching up easy. Additional goodness: I picked up the Polka Gift Set, which included a 50ml bottle as well as the roller ball version for the £6! That mouthful of a description doesn't do the scent any favours. 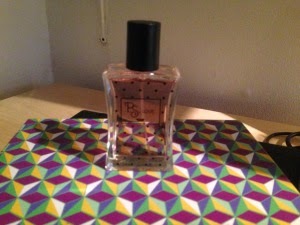 This perfume shares a name with the Primark beauty line and like many of the beauty products, it doesn't amaze me. With strong musky undertones, the smell is not one of my favourite smells from the line however the discounted price of £6 for both the 50ml bottle and 100ml body wash is great for those who enjoy this scent. these sound pretty great! love the polka packaging! 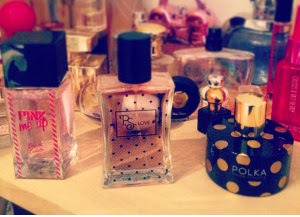 I just love perfumes, specially that black polka designed bottle, looks cool. I want you to know about this amazing necklace which i bought for my mum. You can utilize this article to enable you to choose which of these rosamoceniga fragrance to buy for treating yourself or essentially giving that extraordinary present for somebody. For ladies kind of perfume, you ought to figure Lucy Liu acupuncture out how extraordinary sort of perfume before you settle on a choice to purchase your perfume.